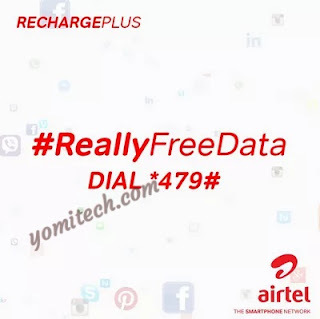 I am pretty sure most of you have probably seen the message on either WhatsApp, telegram, Facebook or other social media platforms about the free Airtel 1GB data when you dial *479#. Some people even claimed it's free data from Atiku. None of this is actually true, the 1GB data isn't really free neither is it from Atiku or any other politician. This is the new Airtel RechargePlus offer from Airtel which gives users free 250MB every week when they recharge a certain amount on their SIM. >> First, you need to dial *479# on your Airtel SIM. >> After that, you will receive an SMS telling you to recharge a certain amount on your SIM to unlock the free 250MB weekly. >> Once you recharge the said amount, you will receive the free 250MB weekly for a month which is a total of 1GB. How do you opt out of the plan?